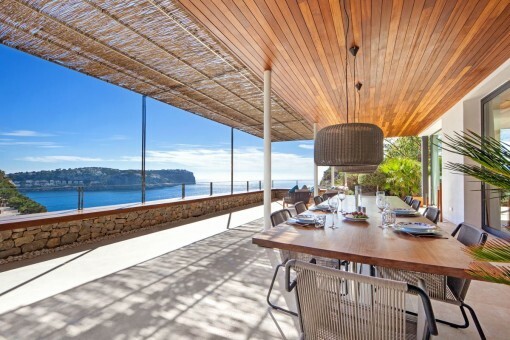 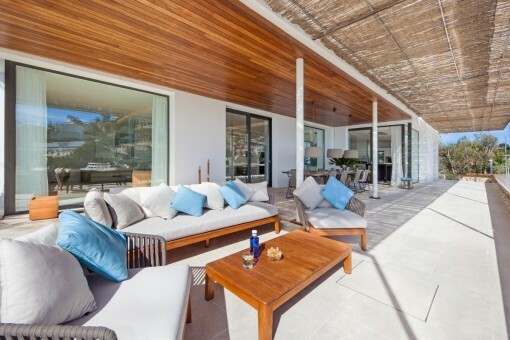 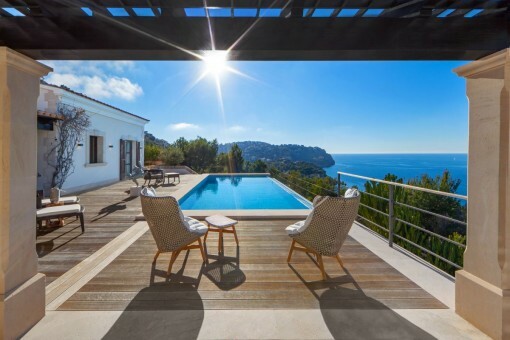 This wonderful designer-villa is situated only a few minutes from the harbour of Puerto de Andratx and provides fantastic sea views. 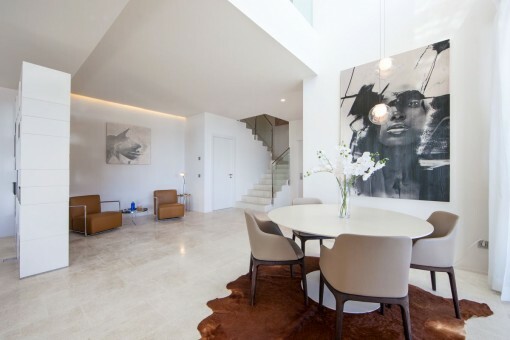 The property is characterized by its superb construction using only the highest-quality materials. 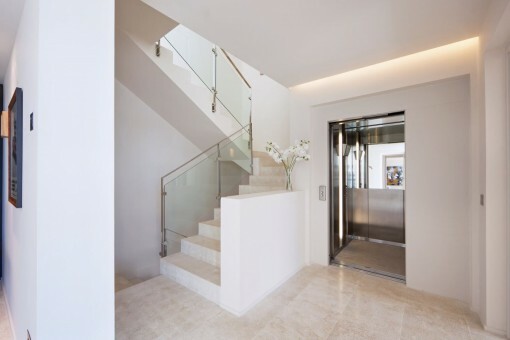 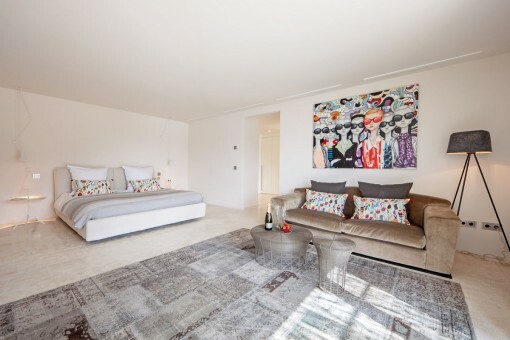 The 3 floors are connected by a lift and offer the highest level of living comfort within an open-plan concept. 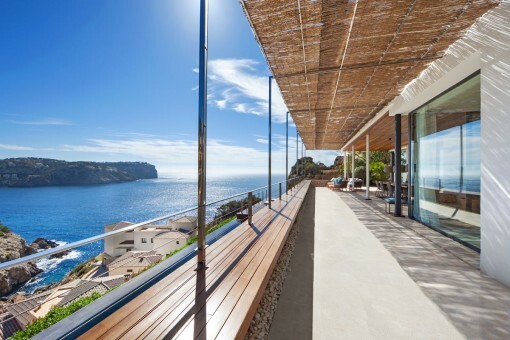 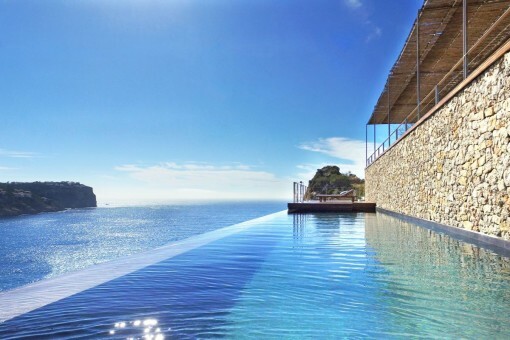 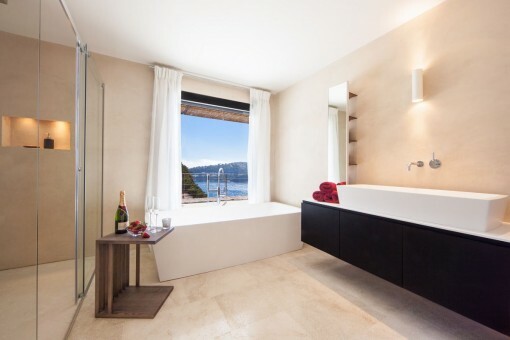 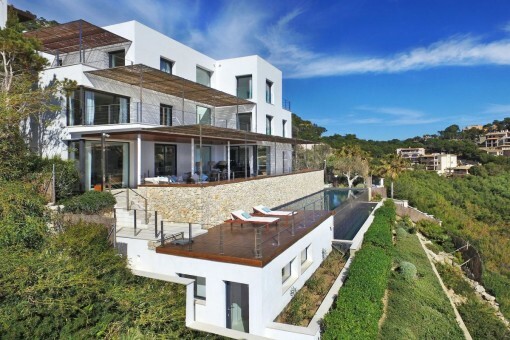 I'm interested in: Completely renovated villa with fantastic sea views in Port d'Andratx (Objekt-Nr.077177). 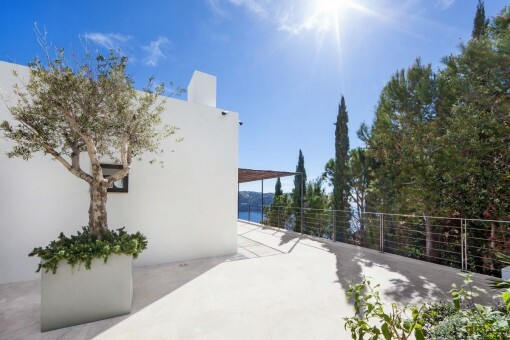 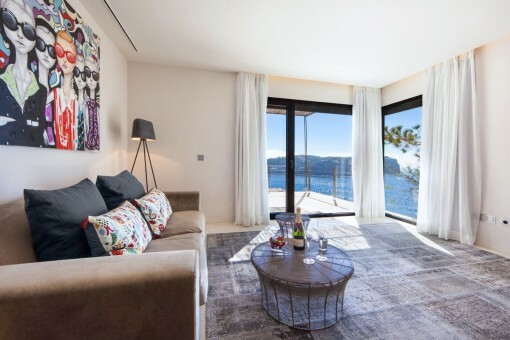 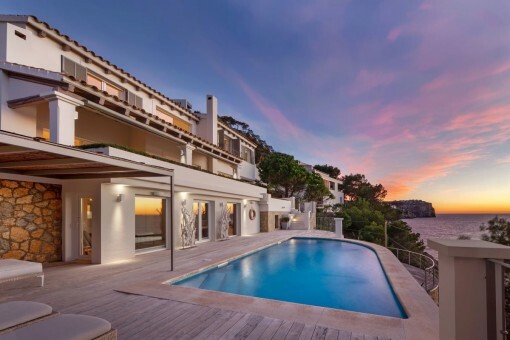 you are reading: Completely renovated villa with fantastic sea views in Port d'Andratx-purchase · Porta Mallorquina Real Estate Rating 4,8/5 by 200 testimonials.